Laundry, dishes, grocery shopping… Moms are always busy! 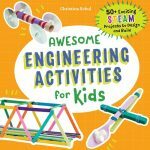 Wondering how to squeeze in a kids craft this week and still get all those chores done? 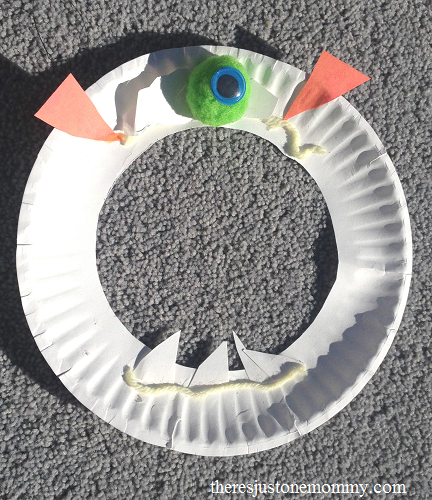 This Paper Plate Monster Craft is easy enough for the kids to work on by themselves while you get dinner ready or fold that basket of laundry. 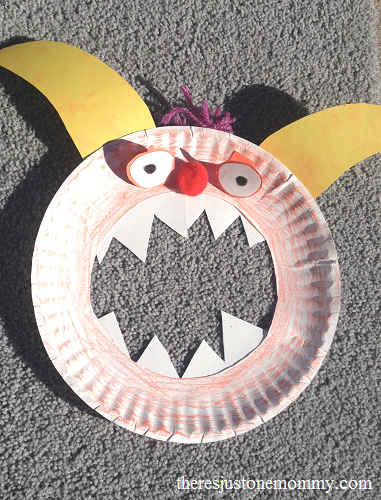 If you want to create monsters with big, round mouths, like ours, simply cut the centers out of the paper plates before giving them to the kids. For very young children you may want to have construction paper ears, horns, noses, etc. cut out ahead of time that they can then glue on wherever they’d like. 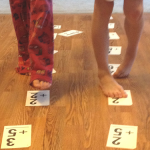 Preschool-aged children and older can get creative and cut out their own pieces. 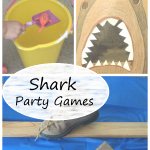 This can be great scissor practice for preschoolers! 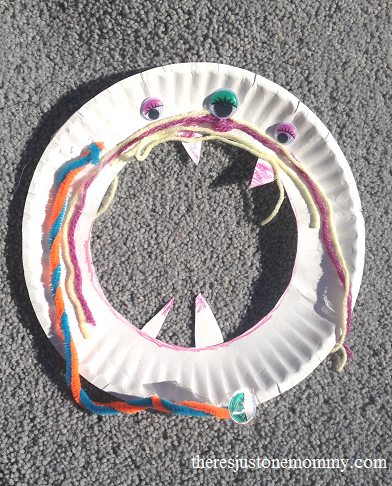 Some kids will jump right into this craft, knowing exactly what they’d like to add to their paper plate monster. If your child is struggling, you can brainstorm ideas together. 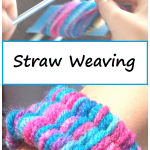 Sometimes kids just need a bit of help at the beginning before their creativity really kicks into gear on a craft. These fun monsters make great Halloween crafts and decorations. You could also easily glue craft sticks to the plates to turn them into masks for the kids to use in pretend play. We used our paper plate monsters to inspire a writing activity. We worked on writing strong paragraphs, starting with a topic sentence, adding at least 3 details and a closing sentence. For older kids you could have them write a short story about their paper plate monster. So, when the kids ask to do a craft this week, grab the paper plates and let the kids get creative with these paper plate monsters while you work on cooking dinner or getting those dishes done. We had so much fun with this craft. Thanks so much for popping over! What a fun craft idea, they would look fab hung up together like a big family of scary faces! I love ideas like this that are simple enough for the smalls but still look great once they are finnished! Thankyou so much for sharing with me at #busydoinglife it’s great to hav eyou joining in!